If you could recollect, we had posted spy shots of a group of Royal Enfield motorcycles on their ARAI test run through the streets of Pune. 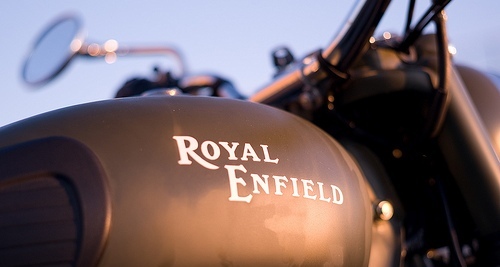 With visually no difference whatsoever in the existing lineup of the Classic range and the test mules, we were wondering as to what was cooking at the Royal Enfield headquarters. The best we could assume was that Royal Enfield might be testing a carbureted and cheaper variant of the Classic 500. 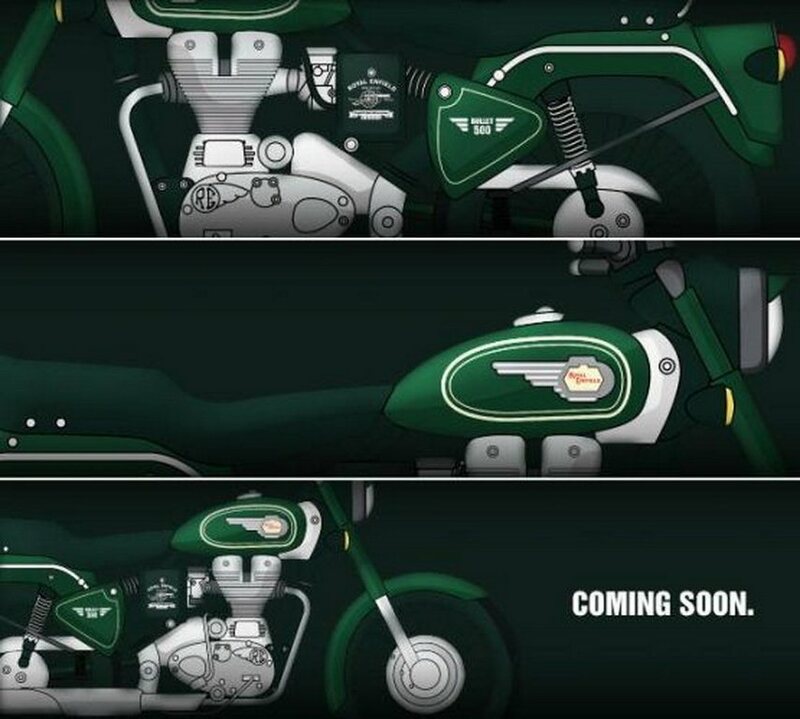 Royal Enfield has released a teaser banner of the new and upcoming Bullet 500 on its website. The teaser shows a simple and classic Bullet design, with a new Forest Green body colour, which is placed between the Sea Green offered with the Classic 500 in India and the Battle Green that is on offer in international markets. Royal Enfield is reintroducing the Bullet 500 name after a decade, when the 24 PS AVL-engined Machismo 500 replaced the earlier model. Since then we have been offered the Classic 500 powered by a 27.5 PS engine. The exact launch date for the new Bullet 500 has not been confirmed. Royal Enfield followers who wished for a Bullet in typical vintage green shade would be the most happiest as Royal Enfield plans to introduce the motorcycle in forest green colour. It is expected that the Bullet 500 will cost around Rs. 1.4 lakh which is Rs. 20,000/- less than the Classic 500.